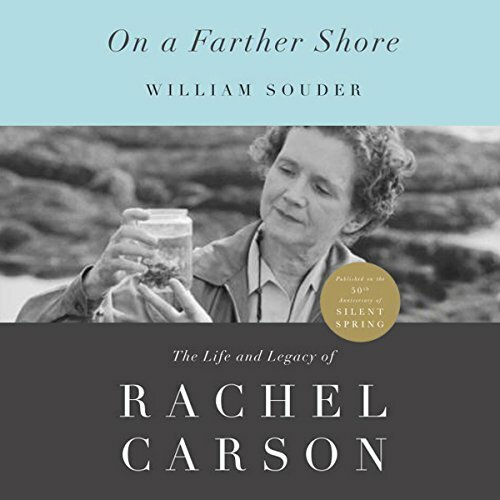 Published on the 50th anniversary of her seminal book Silent Spring, here is an indelible new portrait of Rachel Carson, founder of the modern environmental movement. Carson loved the ocean and wrote three books about its mysteries, including the international best seller The Sea around Us. But it was with her fourth book, Silent Spring, that this unassuming biologist transformed our relationship with the natural world. Rachel Carson began work on Silent Spring in the late 1950s, when a dizzying array of synthetic pesticides had come into use. Leading this chemical onslaught was the insecticide DDT, whose inventor had won a Nobel Prize for its discovery. Effective against crop pests as well as insects that transmitted human diseases, such as typhus and malaria, DDT had at first appeared safe. But as its use expanded, alarming reports surfaced of collateral damage to fish, birds, and other wildlife. Silent Spring was a chilling indictment of DDT and its effects, which were lasting, widespread, and lethal. Published in 1962, Silent Spring shocked the public and forced the government to take action-despite a withering attack on Carson from the chemicals industry. The book awakened the world to the heedless contamination of the environment and eventually led to the establishment of the Environmental Protection Agency and to the banning of DDT and a host of related pesticides. By drawing frightening parallels between dangerous chemicals and the then-pervasive fallout from nuclear testing, Carson opened a fault line between the gentle ideal of conservation and the more urgent new concept of environmentalism. Elegantly written and meticulously researched, On a Farther Shore reveals a shy yet passionate woman more at home in the natural world than in the literary one that embraced her. William Souder also writes sensitively of Carson's romantic friendship with Dorothy Freeman and of Carson's death from cancer in 1964. This extraordinary biography captures the essence of one of the great reformers of the 20th century.